Pogie’s Catering will be with you the whole way. 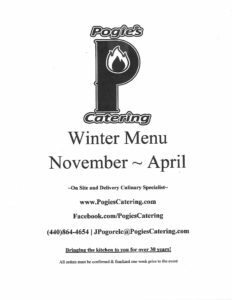 Pogie’s Catering will be with you the whole way. 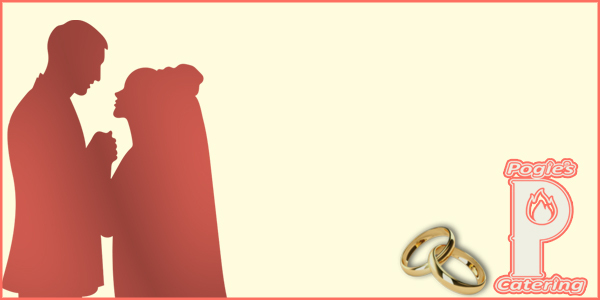 Bridal showers, rehearsal dinners, & wedding receptions are our specialty. We’ll take care of the food, because that’s one thing you shouldn’t have to worry about! We offer two great seasonal menus, so your food fits the setting and helps create the memories you will remember forever. 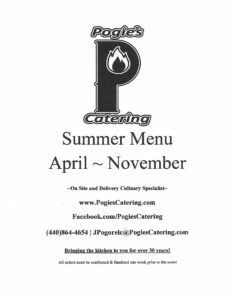 Pogie’s Catering has been bringing the kitchen to you for over 30 years, and it would be our honor to cater your big day at the location of your dreams. We’ll work with you to create a memorable dining experience in just about any setting. We do offer a cake cutting service. When we say we’re with you the whole way, we mean it. 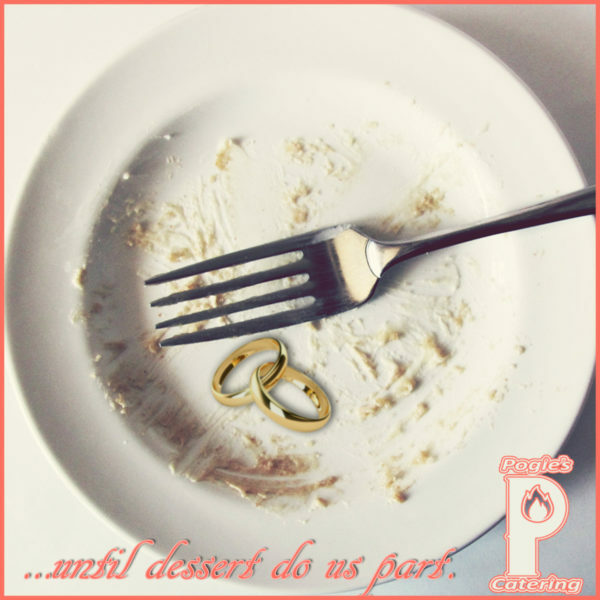 We’re together-until dessert do us part!